As an athlete, you might be used to pain. But you might be able to relieve headache pain through trigger point therapy! Read on to see if trigger point massage could help you ease headache pain. Being an athlete, you are accustomed to experiencing aches and pains from taxing your muscles. As bodybuilders, we deliberately overload our muscles with the intention of tearing down the muscle in order to stimulate growth during the recovery phase. Pain is part of the process. 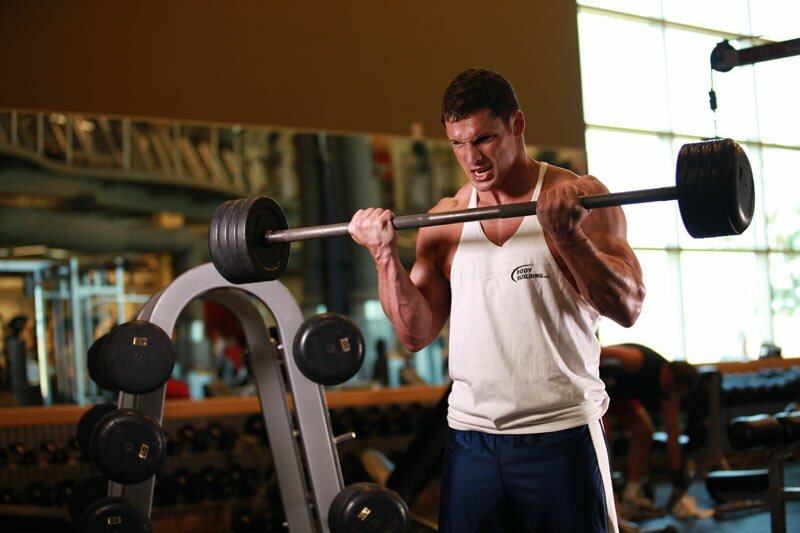 We look for a certain type of pain when chasing the pump - it's what drives the workout. 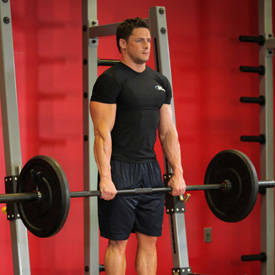 The soreness that follows in the next 24 to 48 hours assures us that we have done a good job of destruction in the gym. However, when the pain becomes the wrong type of pain, it's time to listen to our bodies and evaluate and investigate the cause; and, seek treatment to get ourselves back on track. This article will use the example of severe headache pain and its potential link to Myofascial Trigger Points associated with working the trapezius muscle, to illustrate the benefits of Clinical Deep Tissue and/or Trigger Point Massage. We Look For A Certain Type Of Pain When Chasing The Pump - It's What Drives The Workout. Your training is going well. You're making gains and seeing progress. You've been focused on building your back and you include trap work to help round out that powerful look you need to convey strength and complete your symmetry. Suddenly, one day you wake up with a deep, dull pain in the back of your neck; or, you feel a general sense of fogginess around your head, and you've got a headache that would bring Goliath to his knees. Your traps feel tight, tense, like a tension headache you might get after a long day hunched over a desk...problem is, you just woke up! This goes beyond the soreness of a good trap workout. You are hurting and Tylenol isn't helping. You try squeezing your neck hoping that will bring down the pain. Instead, the pain in your head seems to get worse, perhaps taking on a dizzying quality. You let go, swearing not to do that again, and reach for more Tylenol (More on this later). While nothing in this article is intended to diagnose, identify specific causes, help treat pain symptoms, or suggest that a doctor shouldn't be consulted to rule out other pathologies, these symptoms could be indications of myofascial trigger points. Travell & Simons' clinical definition of a Myofascial Trigger Point is: "a hyper-irritable spot in skeletal muscle that is associated with a hypersensitive palpable nodule in a taut band. The spot is painful on compression and can give rise to characteristic referred pain, referred tenderness, motor dysfunction, and autonomic phenomena." 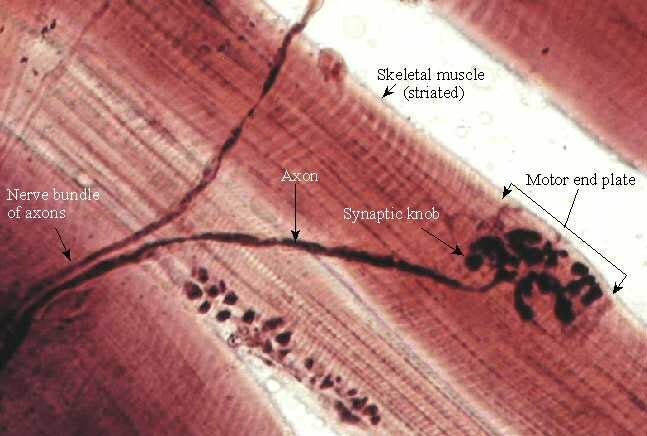 Myofascial trigger points can occur wherever skeletal (striated) muscle undergoes an energy crisis within the motor end plate (where the terminal/ending branch of the axon of a motor neuron makes synaptic contact with a muscle fiber cell). Myofascial Trigger Points Can Occur Wherever Skeletal Muscle Undergoes An Energy Crisis Within The Motor End Plate. Occurring in the neuromuscular junction of a motor end plate, an energy crisis is a vicious cycle whereby an initial sustained Ionic Calcium release from the sarcoplasmic reticulum (SR - a sac like structure surrounding myofibrils, many of which make up a muscle fiber) causes a sustained sarcomere contraction, resulting in increased metabolic needs (ATP) and simultaneous local ischemia (lack of oxygen) causing circulation failure. This energy crisis prevents the re-uptake of Calcium into the SR, forcing the sarcomere to remain in contraction, and allows for the accumulation of toxins, known as sensitizing substances, which interact with the nerves in the area. An Energy Crisis Prevents The Re-Uptake Of Calcium Into The Sarcoplasmic Reticulum. Patient X, a 57 year old male with chronic neck and low back pain due to a serious construction accident, came to me with a complaint of neck pain, vertigo, and "buzzing" in his left ear. He had been having bouts of vertigo twice a year for the past 12 years, during which time his doctor repeatedly prescribed antibiotics for ear and sinus infection. Finally, his doctor told him that he was just going to have to deal with the fact that he was going to have vertigo. I worked on all the muscles of his neck, paying extra attention to the muscles of his neck and those supporting his skull. Specifically, I focused on his sternocleidomastoid and was able to identify several trigger points. At the end of his treatment, he reported that the buzz was gone. The next day, he returned to the office and thanked me profusely and emotionally, for his vertigo symptoms had reduced by 50%. He booked another appointment for 1 week later whereas he normally would come in for massage every two or three weeks. Let's get back to your headache. All those Tylenol you took only masked the symptoms - they did nothing to eliminate the cause of the headache pain. It may have allowed you to relax enough to sleep, giving the muscles a respite from spasm, but the cause - the trigger points responsible for the pain - lives on. The image below shows trigger point (TrP) pain patterns resulting from TrPs in the trapezius and cervical muscles. Trigger Point Pain Patterns Resulting From Trigger Points In The Trapezius And Cervical Muscles. First, we'll review the agonistic and synergistic muscles involved in your Trap workout. The trapezius is a complex muscle that is divided into three groups, has three different angles of fiber direction, and is active during many arm, shoulder, and back building movements. The upper and lower groups are antagonists to each other in elevation and depression of the scapula (shoulder blade). The traps are stimulated by many exercises due to their synergistic and stabilizing action. Some of these exercises include shoulder press, lateral raises, bent over rows, seated rows, lat pull downs...and...well, you get the idea. However, weighted shrugs are considered by many to be the bread and butter upper trap building exercise. Because the weighted shrug is a primary developer of the upper traps, we will look at the agonists and synergists to this exercise. The agonist is the muscle that is primarily responsible for a movement. In the shrug, the agonists are the levator scapulae working together. Levator Scapula (L-Scap) means to 'elevate the scapula' (shoulder blade). Its origin is at the transverse processes of cervical vertebrae C-1 through C-4 and its attachment point is the superior angle of the scapula. It is deep to the trapezius along its lower half. The upper traps assist in this movement - they are the synergists. The upper traps' function is to "draw the clavicle (and indirectly the scapula) backwards and raise them by rotating the clavicle at the sternoclavicular joint." - Travell & Simons. Also working somewhat synergistically in this movement is the sternocleidomastoid muscle (SCM). The SCM, when contracted bilaterally, function to control posterior movement of the head and neck. They also assist in inhalation. They are more so recruited into action for stabilization of the head and neck and assist in the inhalation of the exerciser during the positive phase of the shrug movement, than actually working with the L-Scap to elevate the scapula. Other neck muscles that are activated during the shrug are the Scalene muscles. The scalenes stabilize the neck from lateral movement, and serve to elevate the first and second ribs during inhalation. Trigger points in any of these muscles can cause referred headache pain. A well trained and qualified massage therapist/deep tissue specialist will be able to determine the source of your pain and treat you effectively using Trigger Point Release techniques. Trigger point release is achieved through slowly increasing non-painful pressure over a trigger point until a barrier of resistance is encountered. Pressure is then held until the muscle softens allowing for deeper muscle penetration until the tension in the muscle is released. Trigger points can also be inactivated by trigger point injections from a doctor or licensed physiotherapist. It is important when selecting a massage therapist to know and distinguish the difference between deep tissue massage, clinical deep tissue massage, and trigger point massage/therapy. Some massage therapists say that they provide deep tissue massage though they are not trained in the recognition and treatment of trigger points. Before I was trained in clinical deep tissue massage, I went to a spa and asked for a deep tissue massage. I was in pain and I believed that the therapist would be able to alleviate some of it. The massage that she provided used heavy pressure, but did not locate or address my pain symptoms. I don't blame her for this failure. 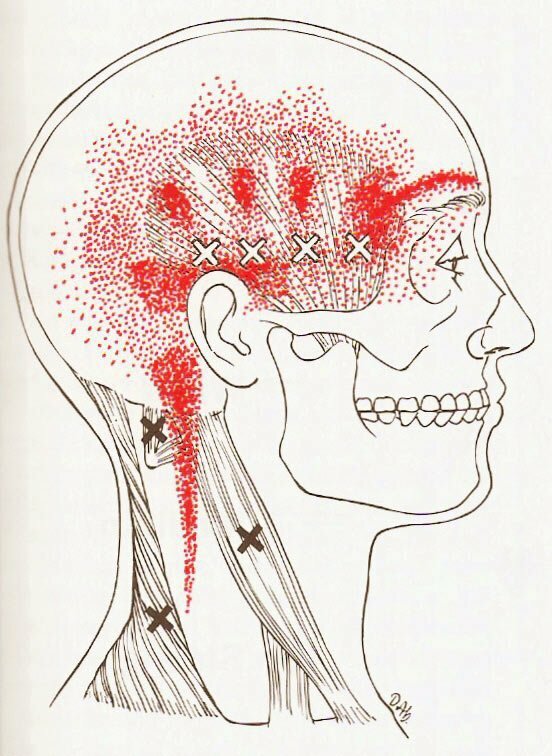 She was trained in how to apply deep pressure, but she did not follow the protocol for evaluating and treating trigger points. She didn't have the training, and I didn't know exactly what I needed. My point is that Deep Tissue does not necessarily mean that you will get trigger point treatment. Heavy pressure is not Deep Tissue. Deep Tissue is designed to reach muscles that reside deeper than/beneath the superficial muscles. It is a good idea to ask the massage therapist if they were trained in the recognition and treatment of myofascial trigger points. Can they perform 'clinical deep tissue' massage or trigger point therapy? Trigger Point therapy is not supposed to be exceedingly painful. Location of trigger points will result in some pain as TrPs can be painful upon palpation, but palpation of trigger points should be tolerable for the patient. Pain is counterproductive to trigger point therapy - it causes the patient to tense up, causes reflex muscle contraction, restricts breathing, and can cause injury and inflammation. Most importantly, it slows healing. Your therapist will require you to maintain open communication with them to assist in your treatment. He/she will want to know the level of pain associated with the trigger point, the presence and location of any referred pain or referred tenderness, and when the pain subsides. Don't go into a trigger point session and expect to lie on the table and be tough, gritting your teeth through a painful massage; or, expect to just lie there to be pampered and fall asleep! You will have to breathe, remain present to what is going on with your body, and communicate it to your therapist. There are situations where trigger point therapy is counter-indicated. Swelling and inflammation are the most obvious reasons, but there are other indicators that the therapist will look for before working on you. Be honest with the medical history questionnaire, especially if you are taking blood thinners, have a bleeding/clotting disorder, or have any medical condition. Your Therapist Will Require You To Maintain Open Communication With Them To Assist In Your Treatment. We like lifting heavy weights. We've grown accustomed to pain - we use it to gauge the success of our efforts; but, we need to listen to the type of pain we experience. Myofascial Trigger Points can occur anywhere in skeletal/striated muscle. Trigger points can cause pain in not only the superficial muscles, but can be the cause of sometimes debilitating pain whose origin may prove difficult to locate. 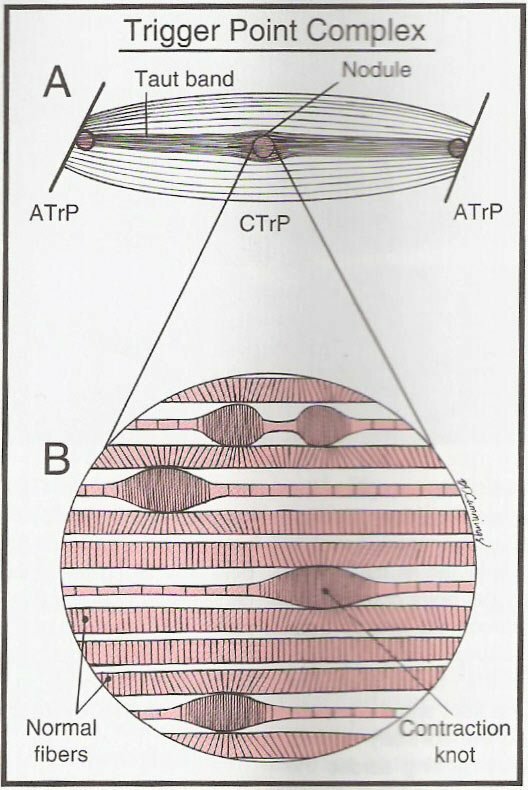 An energy crisis of a sustained Calcium release and resultant low ATP and oxygen levels causes a vicious cycle of sarcomere contraction within a motor end plate. Untreated trigger points can perpetuate referred pain, cause secondary trigger points, and cause muscular weakness and dysfunction. Trigger Points can also be elusive - referred pain patterns can overlap each other requiring specialized testing for each suspected muscle. Trigger point release can inactivate trigger points, allowing the taut band within a muscle to return to its lengthened, relaxed state. Finding a properly trained massage therapist is essential to getting good Trigger Point massage treatment. We're bodybuilders. We love muscle. We love its look, the feel of it contracting and filling up with blood. We drive ourselves to distraction, chasing the pump and bringing the pain, all in pursuit of becoming our best selves. Pain is our ally, whether to affirm success of our efforts, to keep us safe, or to signal a potential problem. It is not to be ignored. Cassandra is active in sports and fitness. After a number of health problems set her back she is now going full force in training and helping others.